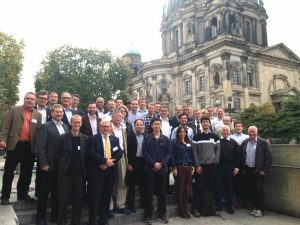 The increasing future demands on reliability and profitability of wind energy use, especially in offshore require the optimisation of wind turbine reliability, availability, and maintenance effort. One possibility is to systematically make use of past experience. Statistical analyses of operation and maintenance data of turbines and their components can be used to identify weak points and to define maintenance services at an early stage. Appropriate data management and sophisticated decision-support tools may then make use of systematically analysed experience and help replacing unexpected shut downs by planned maintenance measures. Additionally, easy communication between all stake holders in wind turbine O&M and identical or at least similar data structures and interfaces for data transfer will help a lot gathering and interchanging data and accelerating diagnostics. 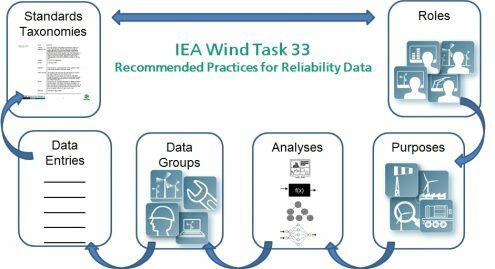 Having started in 2012, IEA Wind Task 33 “Reliability Data – Standardization of Data Collection for Wind Turbine Reliability and Maintenance Analyses” aims at finding a common international understanding of how to analyse reliability of wind turbines and components. As a result, IEA Wind Task33 publishes “Recommended Practices”, proposing a common approach. In this side event, these IEA Wind Recommended Practices will be presented to the wind industry.